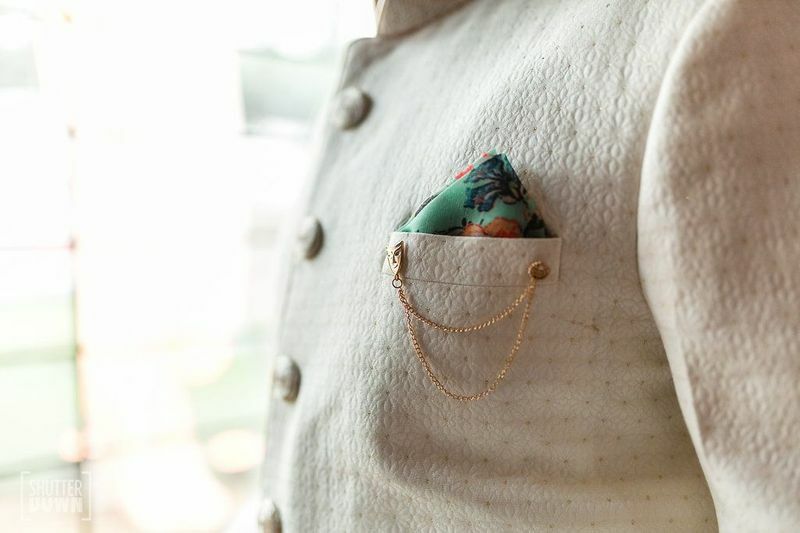 A sherwani. A bandhgala. Or a smart formal suit. 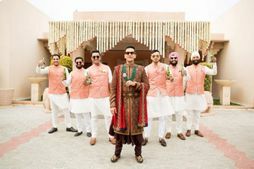 Wondering if that's all that the big fat world of shopping malls and designer wear has to offer for a groom-to-be? Well, yes, and no! 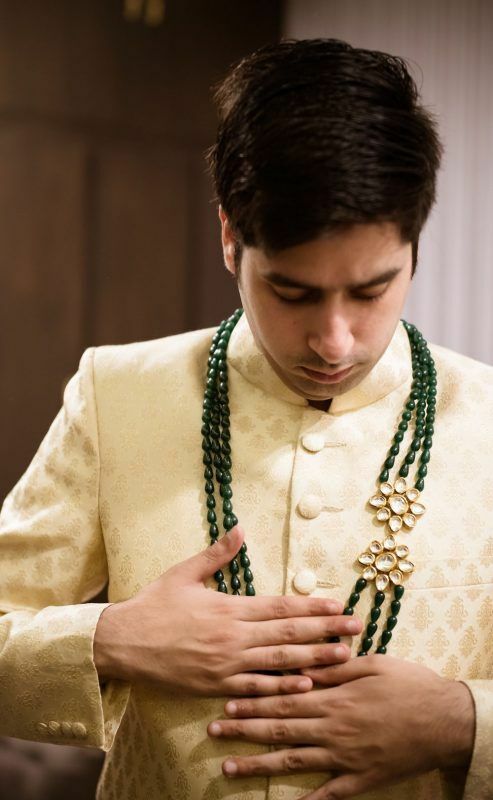 Boys, there's so much that you can do with your wedding look, if you pick the right jewelry and accessories! Who Said Layering Is Only For The Ladies? 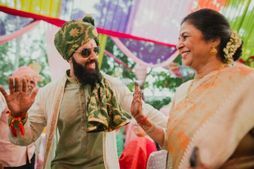 Ranveer Singh is a true heartthrob, and possibly the only one whose fan following multiplied even after he got married. Looks, talent, sky high energy levels, or his style- the guy is a true winner! 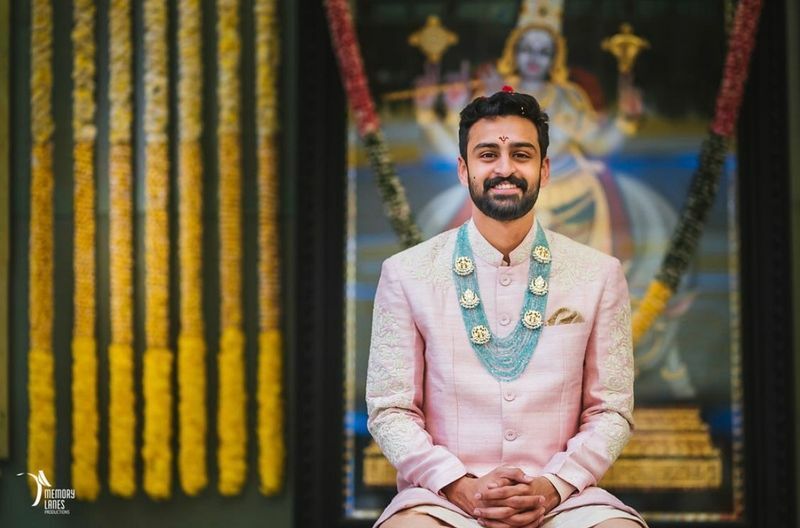 We'll keep all of those things for some other day, because today, lets pause and appreciate this filmy groom who made hearts swirl with his avatar at his Lake Como wedding! If we get to it, we can fill two complete pages (or maybe more!) appreciating his style, but what we really couldn't miss was how he accessorized his look. 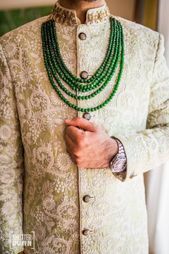 From layered, beaded haars to a polki necklace and a hard-to-miss eagle-shaped pendant, he had it all. 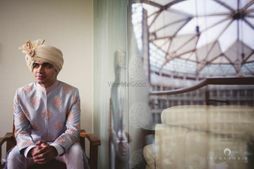 And boy, he looked like the quintessential royal Indian groom! 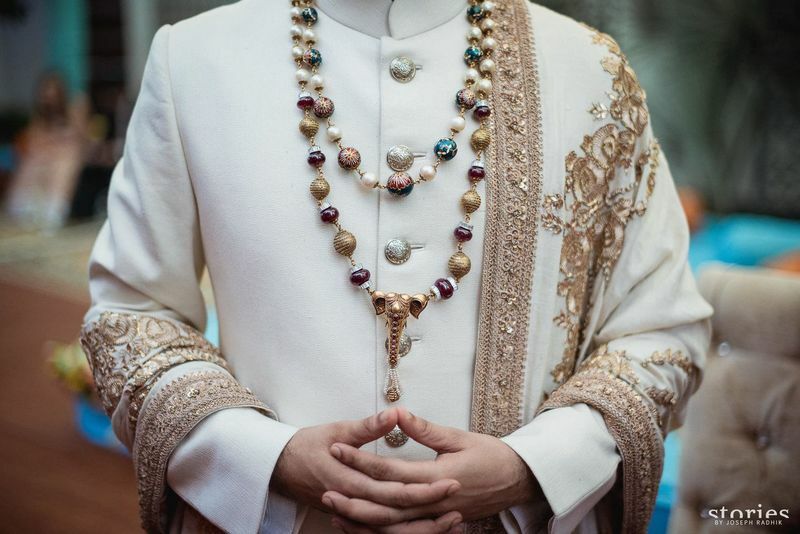 But Ranveer isn't the only, or infact even the first groom who completed his look with jewellery pieces! Here's more! 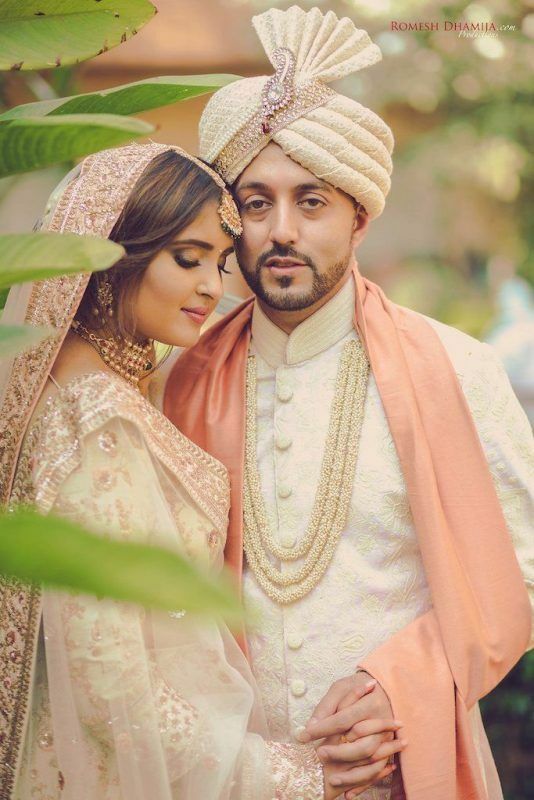 10 Points To This Groom For Incorporating & Flaunting His Haar With Polki Embellishments So Elegantly! If You're Looking For Something That's Not OTT Yet Stylish, This Tasseled Brooch Is Just Right! Or This One That's Both Dainty And Impactful! If You're Not A Fan Of Accessories, But Still Want To Experiment, Why Not Go With An Embroidered Hologram? 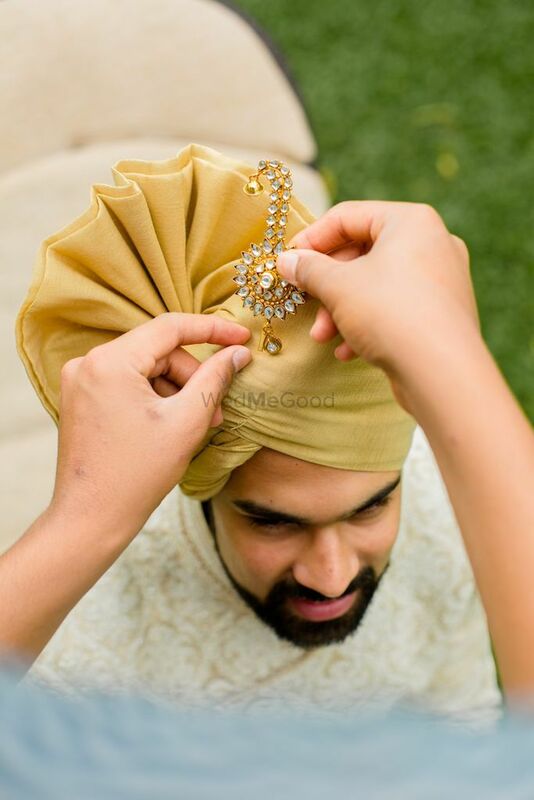 A Lot Of Men Wear Pagdi Or Turbans At Their Wedding. So Why Not Elevant Your Style With A Stunning Kalgi? You Can Get Creative And Personalize Your Kalgis With Feathers, Beads, Or Even Tassels! So what's the one piece even you wouldn't mind experimenting with? 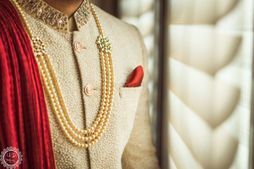 Where To Get The Best Jewellery For Grooms! The Only Groom Accessory Checklist You'll Ever Need! 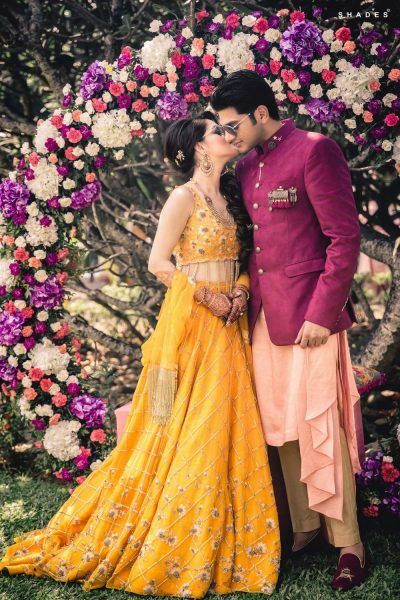 Grooms Who Rocked Florals #LikeABoss! 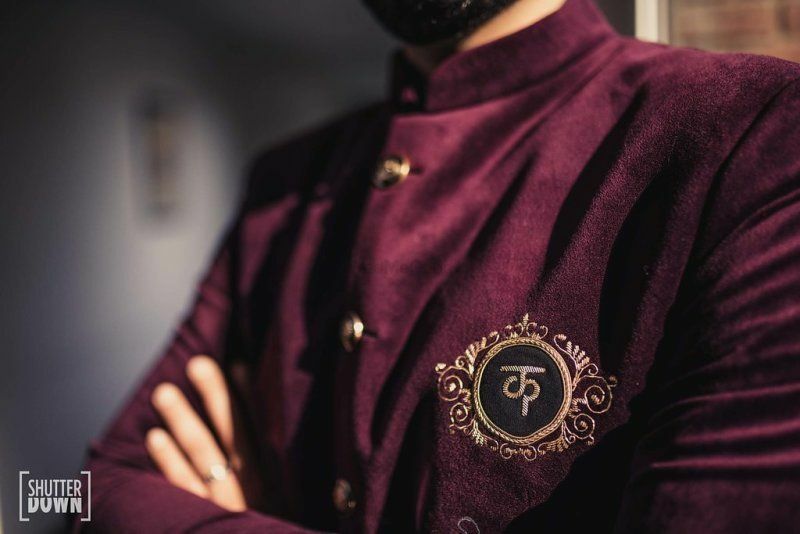 All The Cool Ways Grooms Are Personalising Their Wedding Attire! 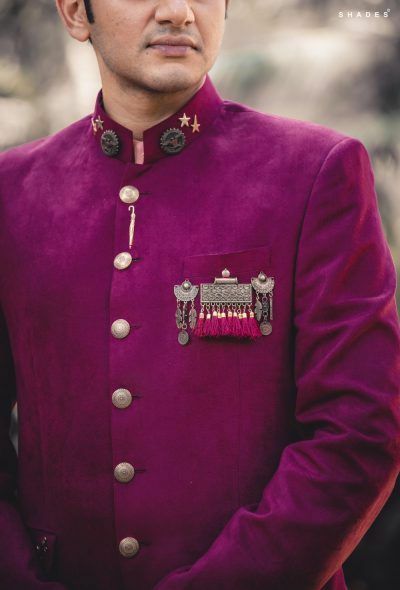 Small Little Additions To The Groom's Look That Can Make A Statement! 7 NEW Colors for 2018 Grooms! 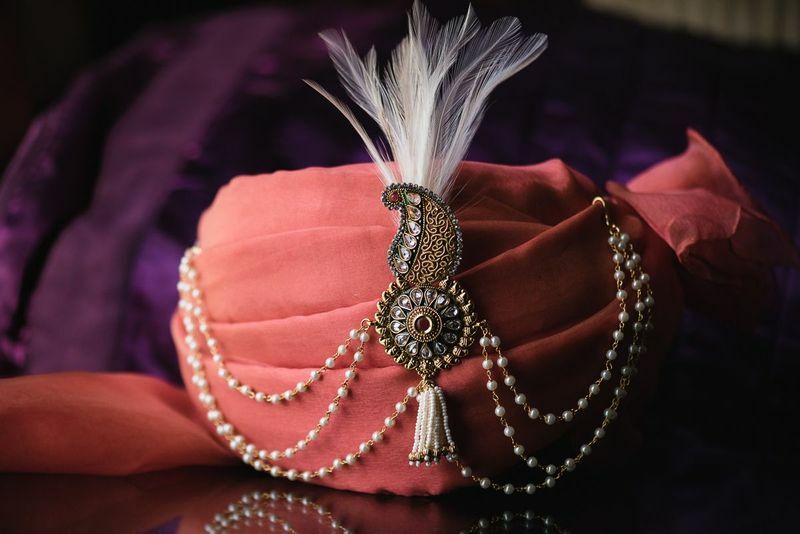 From Plain To Printed, Fresh New Safa Ideas For Your Baraat! South Indian Brides Who Wore Kanjeevarams in Unique & Offbeat Colors!